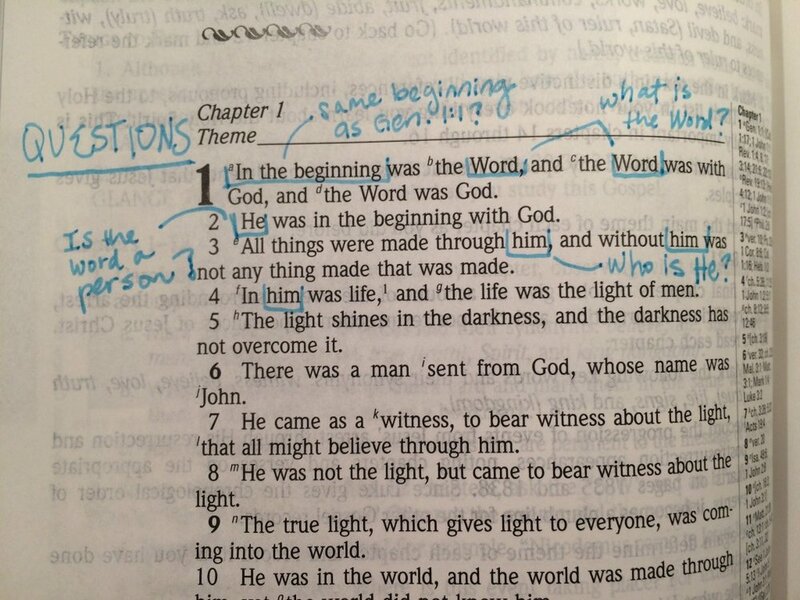 For some of us, asking questions of the Bible does not come naturally. But so much can be learned by asking the passage of scripture we are studying some good, simple questions. Also known as 5 W's and a H: WHO? WHAT? WHEN? WHERE? WHY? and HOW?, produces a mindset to assume while studying. Think of it as mental interrogation of the Word. While you read, ask questions like: "who is that guy? ", "where is Corinth? ", "why is it weird for Him to be talking to a Samaritan woman?" Anything goes. It makes you inquisitive as you dig deeper, and you might be surprised at the answers.